When I originally bought the first 6 books of the series in 2005, books 1-5 came in paperback, book 6 in hardback. I read these versions many, many times. Then, I found a hardback version of HP5 at a library sale. Since my pb version was starting to fall apart after so many readings, I bought it. 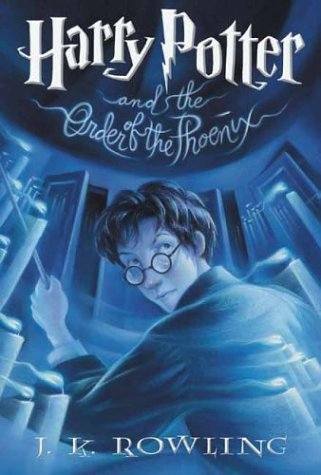 I ended up giving my sister the pb copy at her request, and the next time I read the series, I was jarred by a section 625 pages in – a conversation between the prefects and the Inquisitorial Squad, which I will detail below. This made me realize there were differences in the two texts. I slowly gathered up hardback and paperback copies of all 7 books and this year have been documenting the differences. Now, though, I’m starting to think I probably missed tons from books 1-4. See, I got 309 pages into Order of the Phoenix and found a small discrepancy that I never would have seen had it not changed the number of lines on the page. The line in HB says, “Snape reached the front of the class and turned on his heel to face them.” In the paperback version, it says “Snape reached the front of the class and turned to face them.” This is not a consistency error, but simply a change in the text. I have no idea why it was changed. Maybe Rowling just liked the way the latter sounded better? But after I found that one, I started looking more closely. These longer books are harder to memorize than the earlier ones, and little things like that are harder to catch. I was expecting only consistency/continuity errors, but instead I found myself comparing the bottoms of each page to see if they ended on the same words. When they didn’t, this indicated a change on the page. Not all changes caused publishing space issues, though, so I’m sure I missed lots and lots of little things, especially if they are just tiny word changes like the one mentioned above. I did manage to catch 9 phrase/word changes. Imagine just how many I missed if I caught that many! Page 608: HB – “…the elf tried to kick himself and fell to the floor. … Dobby let out a howl, and began beating his bare feet hard on the floor.” PB – “…the elf tried to kick himself and sank to his knees. … Dobby let out a howl.” -Obviously the second phrase change is due to the first change, but why the first change in the first place? So those are the 9 changes I found that seemed to have no basis in fact/continuity for changing. There are another 4 errors that I found which have consistency reasons for changing. Page 589: An entire paragraph is removed from the HB version. I’m not going to quote the whole huge thing, but it says that Harry was angry with Hermione and didn’t talk to her his whole bad day where people talked about Death Eaters, laughed at Gryffindor’s quidditch performance, and sang “Weasley Is Our King” so much that Filch banned the song out of irritation. Funny story, though – when I read the HB version the first time, before I realized there were differences between the two, I came across this paragraph and of course didn’t remember it at all, since it’s not in my PB copy. I remember being all excited that even after 20+ reads, there were still things I’d forgotten about and was “rediscovering.” Turns out, I hadn’t forgotten! I just realized this during this comparison read-through, though, which is kind of cool. I’m sure this paragraph was removed because Filch banning that song would make it impossible for the Slytherins (and later the Gryffindors) to sing it so many other times in the book. Without punishment, at least. “It’s only teachers that can dock points from Houses, Malfoy,” said Ernie at once. “Yeah, we’re prefects too, remember?” snarled Ron. “You can’t take points from fellow prefects, Malfoy,” said Ernie at once. So there you go. There’s my probably flawed and limited reading of the fifth Harry Potter book. Part of me wants to go back and at least catch any little differences that make changes to the page alignment on the other books, but I’ll refrain. I guess the moral of the story is that no matter how hard I study these, there are still going to be changes and errors I don’t find. Still, that makes doing this comparison reading quite fun! This entry was posted in 2008, 2009, 2010, 2012, Children's, Prose and tagged favorite, Harry Potter, humor, memorable, multi-read, reread, speculative. Bookmark the permalink.